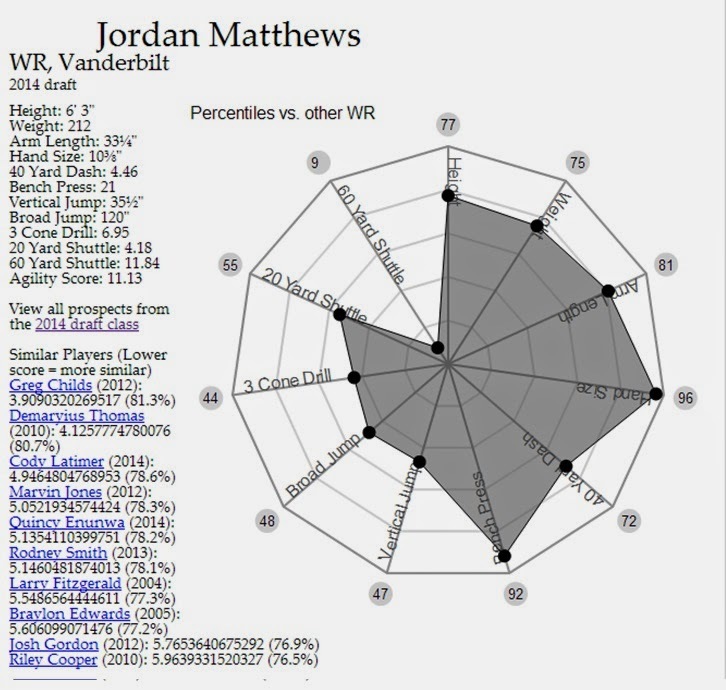 The 2014 rookie WR class is as strong as any in recent memory. 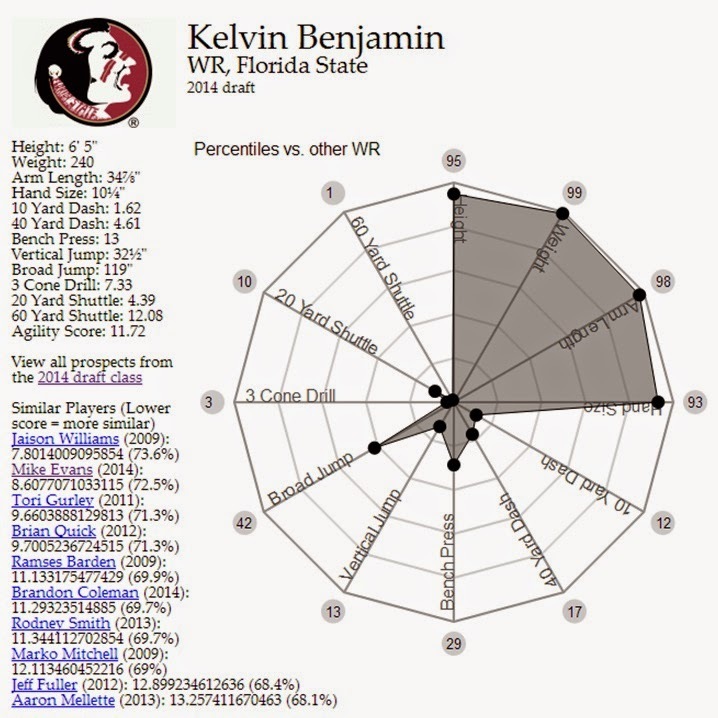 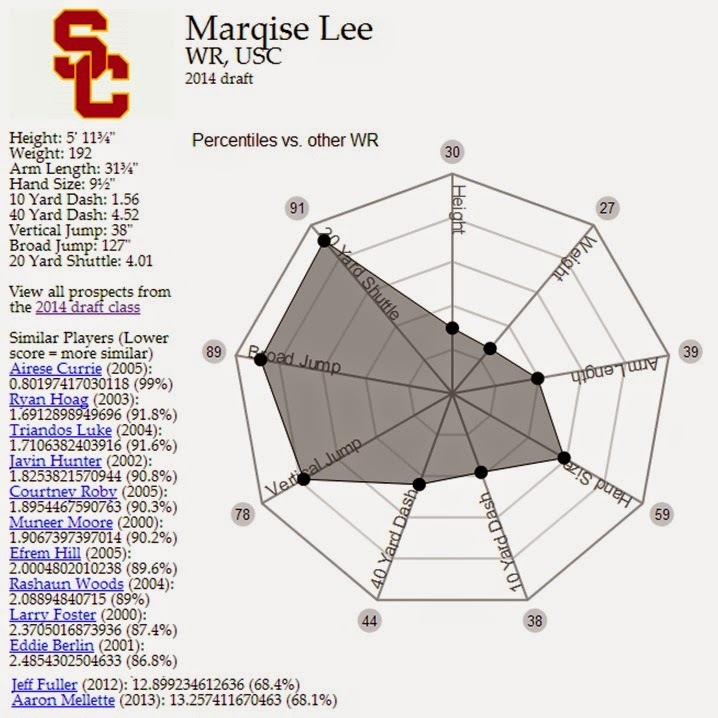 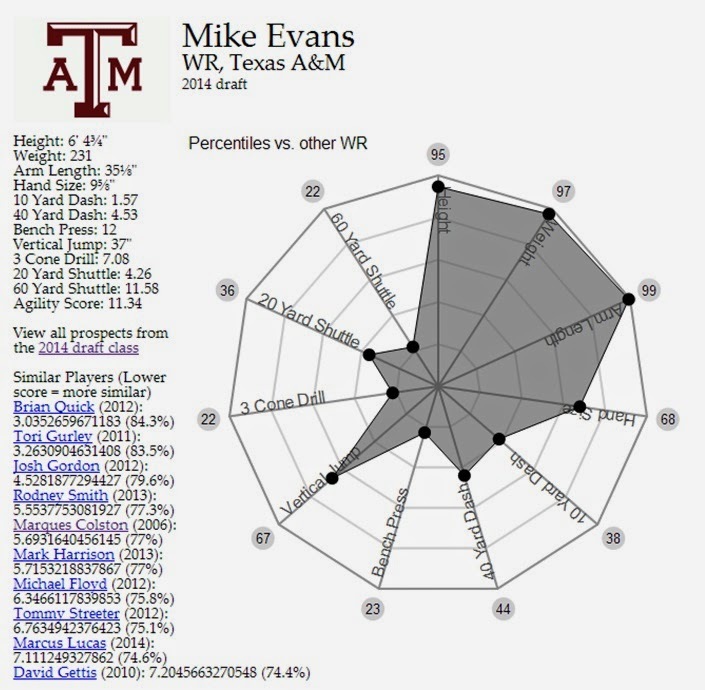 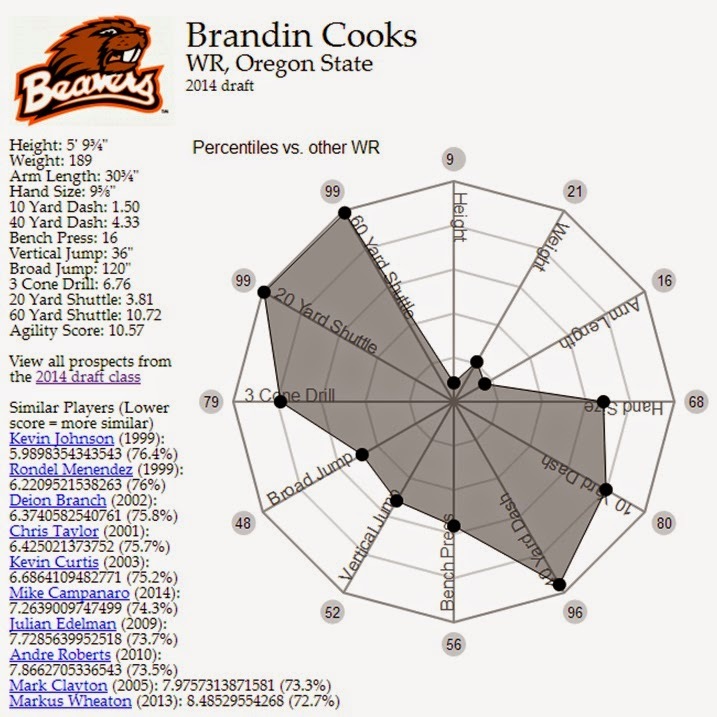 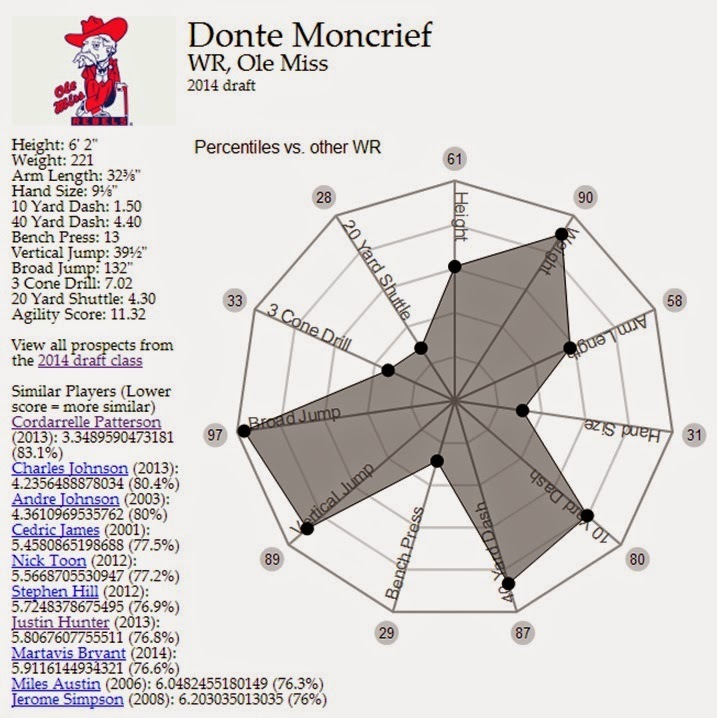 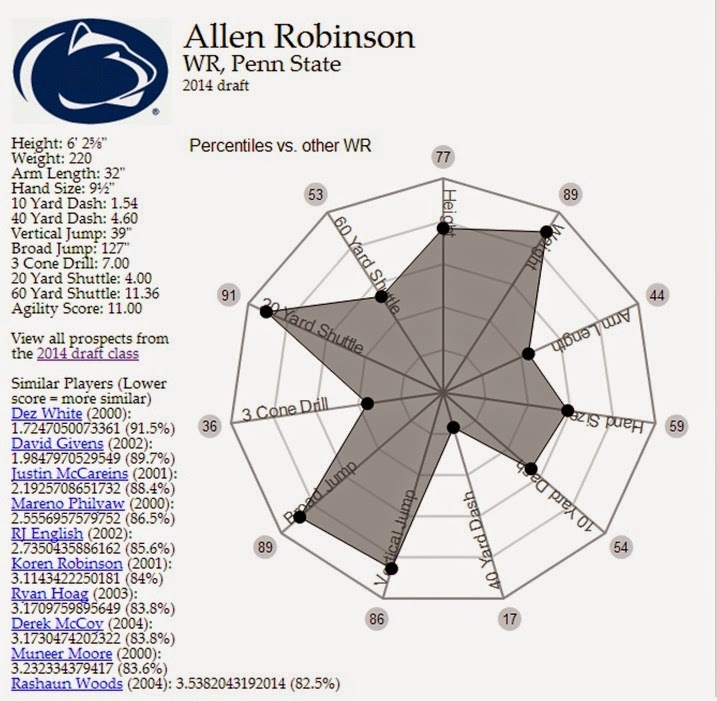 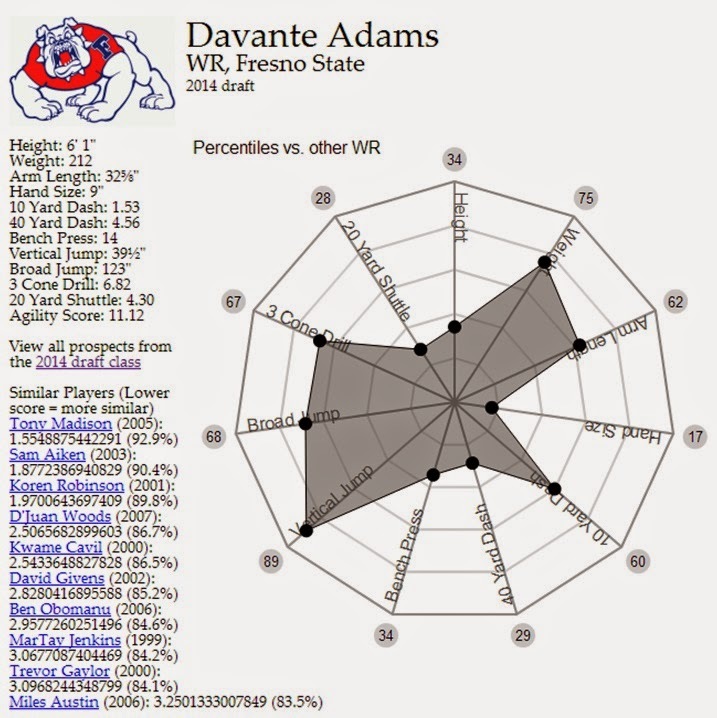 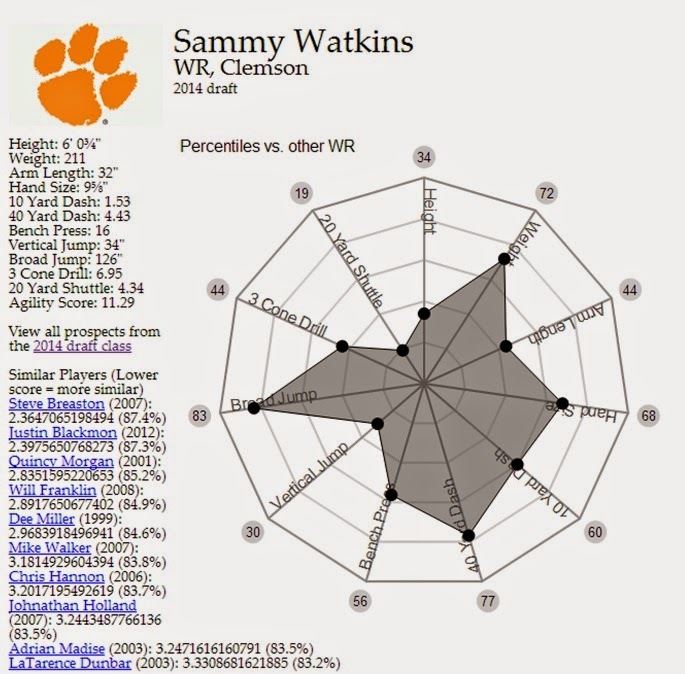 http://mockdraftable.com does a great job showing us graphical views of each player's strengths and weaknesses based on combine measurables. 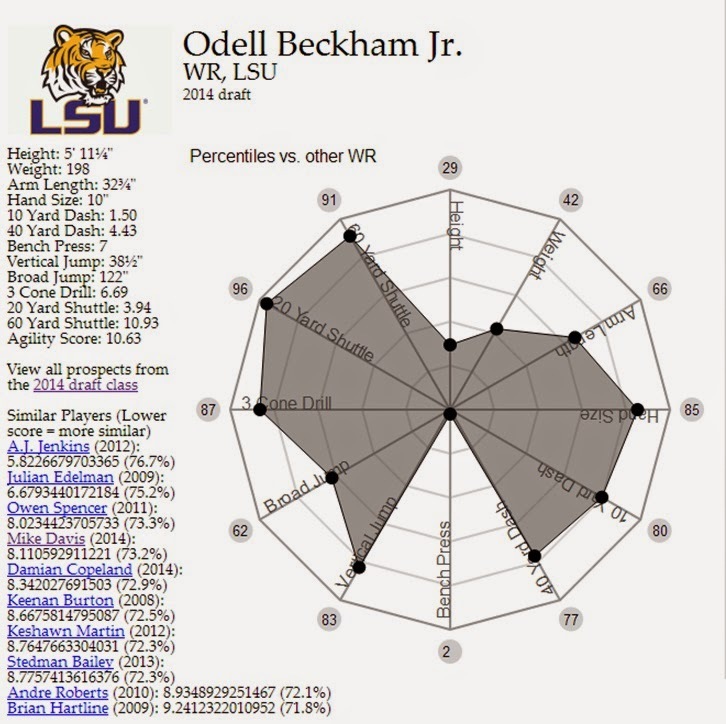 Here is a list of the top 10 WRs and their measurables.